My family all has really busy schedules. Our main form of communication sounds maybe a little primitive but it works for us. We leave each other notes on the refrigerator. When I saw these Round Refrigerator Magnets by EHME I thought they'd be perfect for doing that. I was right. They really have a strong hold and keep your notes or pictures firmly in place. 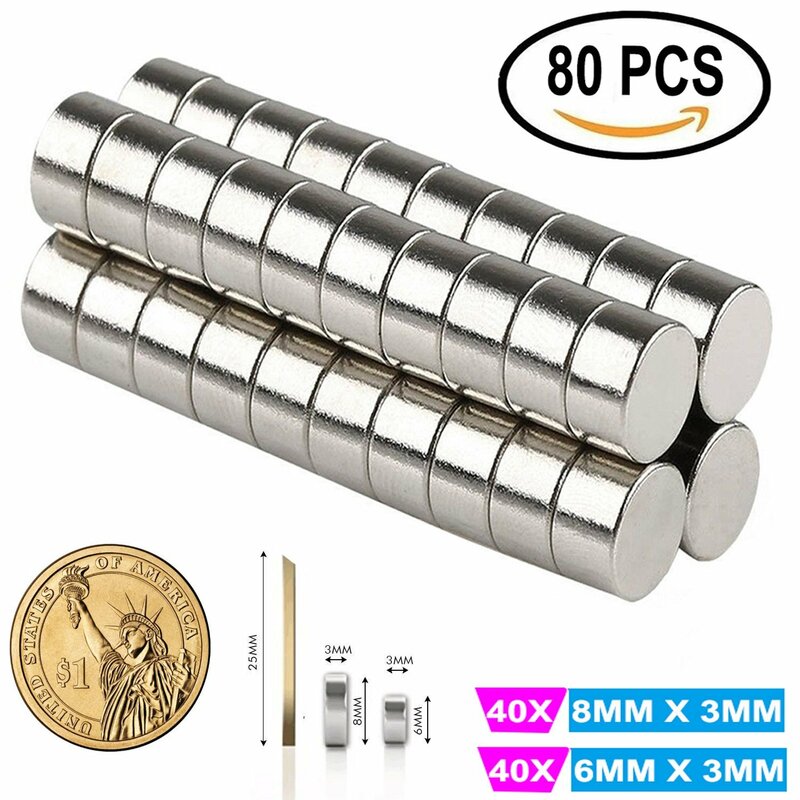 There are 2 different size magnets in this set, 8mm x 3mm and 6mm x 3mm. There's 40 of each size. Don't let their small size fool you either, they really hold. The magnets come in 2 small plastic cases (40 in each) . I really like the little plastic cases. I like features like that to keep things organized and keep things from being lost. 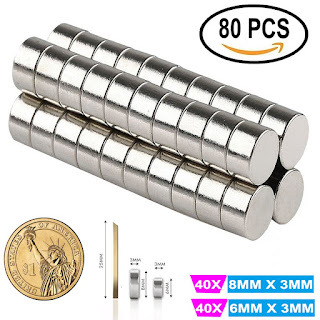 You can keep the magnets that aren't in use in one place. You don't have to stop at only posting notes or pictures on the refrigerator, these magnets can be used in many different craft projects , jewelry, lockers, dry erase boards. 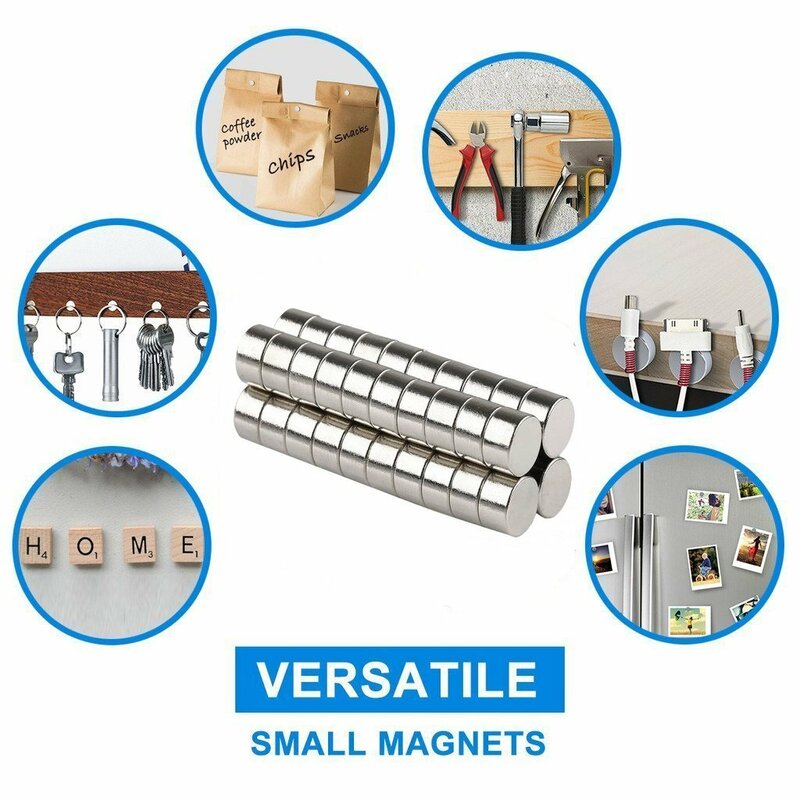 ou can even use these to create your own DIY magnet designs. The possibilities are endless, let your creativity flow.